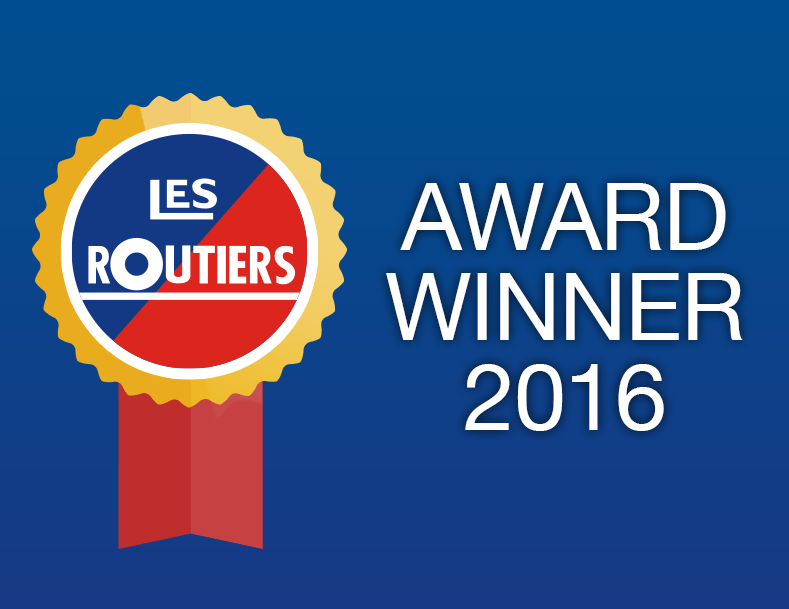 Les Routiers recommends quality establishments – from hotels to restaurants – in the UK and Ireland. Founded in Paris in 1934 and recognised worldwide, Les Routiers was initially a guide for travellers, recommending the best independent restaurants and places to stay. The UK and Ireland arm of the company has since evolved to champion independent establishments that offer quirky individuality, value for money and a genuine alternative to chains. Having had a strong travel industry presence during the eighties and nineties, Les Routiers needed our help to refresh their branding for a twenty first century audience. Ultimately, Les Routiers wanted to improve their online presence, which would, in turn, generate new business for the company. To achieve this, they looked for a digital agency to design a new website, and came across Thunderbolt. The team of graphic designers at Thunderbolt helped to rebrand Les Routiers by updating the logo, which modernises the company’s image while incorporating important aspects of the classic brand. 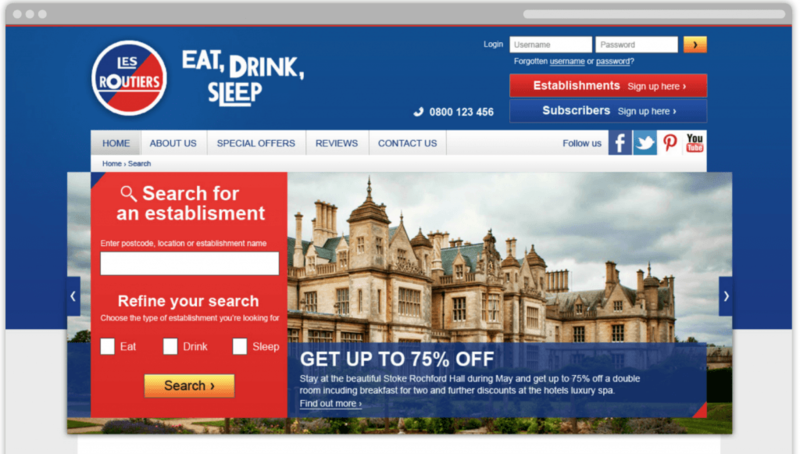 We also designed, developed and launched a new website that dynamically displays a variety of approved bars, restaurants and hotels, as well as regularly updated offers and vouchers for these.